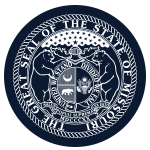 Mission: Enacted in 2015, the Missouri Achieving a Better Life Experience Program allows qualifying individuals to open tax-advantaged accounts used to pay for the specific costs of living with a disability. Function: Missouri Achieving a Better Life Experience Board shall develop and implement the Missouri Achieving a Better Life Experience Program. Member Requirements: Governor appointed member must have demonstrable experience and knowledge in the area of banking or deposit rate determination and placement of depository certificates of deposit or other deposit investments.